Are you currently running one-on-one meetings, seminars, or even selling indexed universal life over the phone? 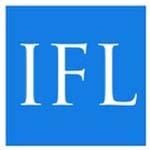 The IFL Total Sales Solution can be used to expand your practice in any sales situation! IS YOUR CLIENT? AGE 40, 50 OR 60? then IFL TAX-FREE INCOME is the path. the advantage as an alternative or supplemental retirement savings strategy. then IFL LIFETIME INCOME is the path. to be positioned in annuities to provide lifetime retirement income and asset safety. A unique retirement income planning support system available exclusively through Brokers Alliance, Inc. Call now to access our Software, Videos, and Training for FREE and start selling IUL today!